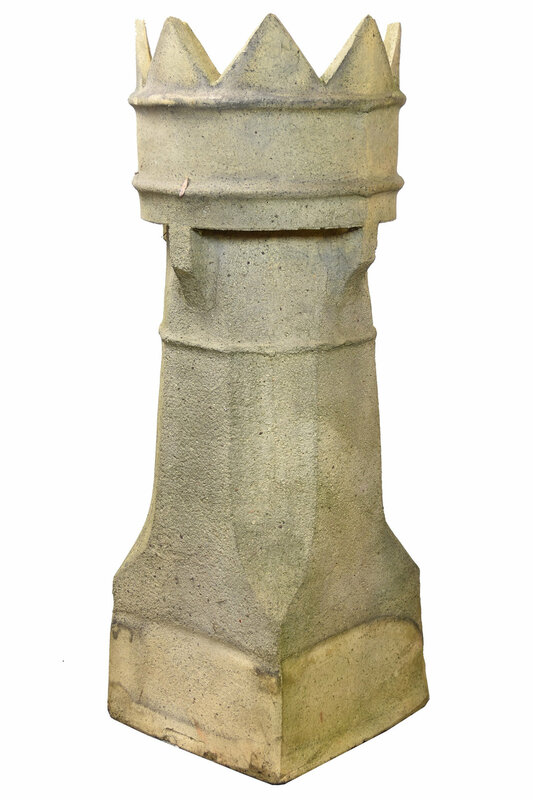 Beautiful decorative chimney pot with crown feature. 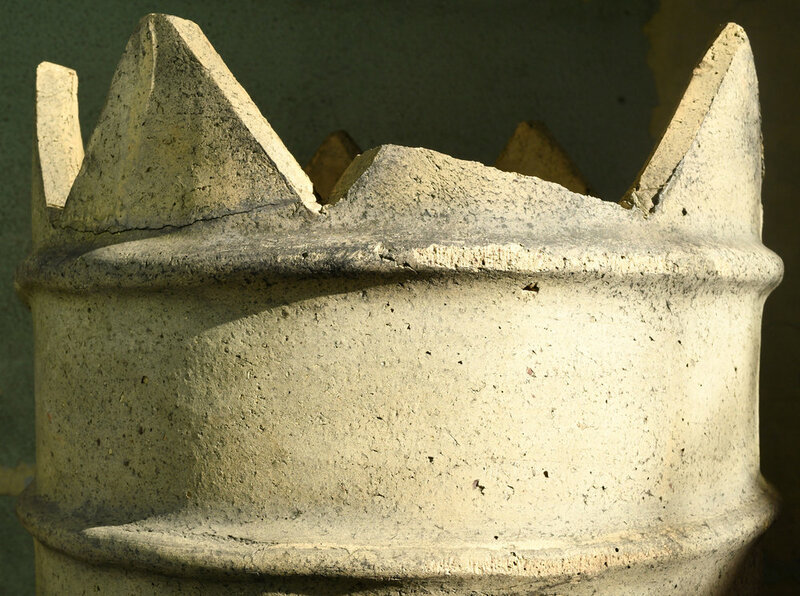 Features square base and crenulated top. 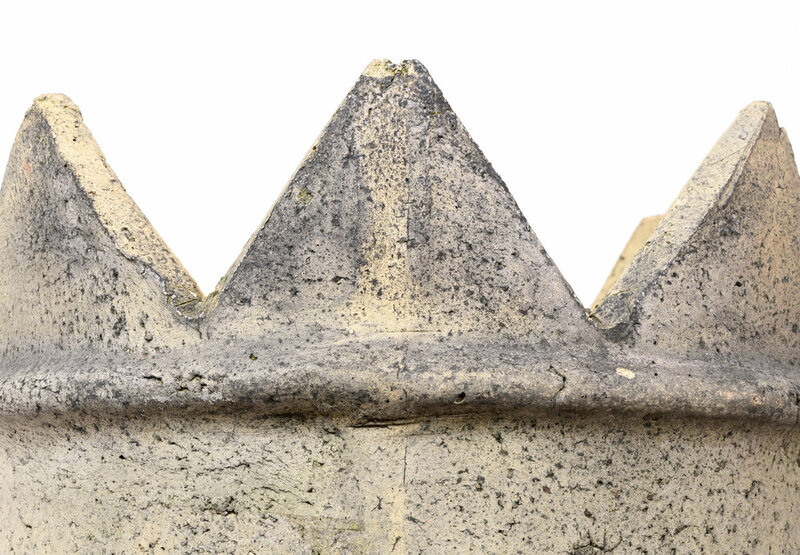 One of the "spikes" is broken off, but the rest of the piece is in excellent condition. 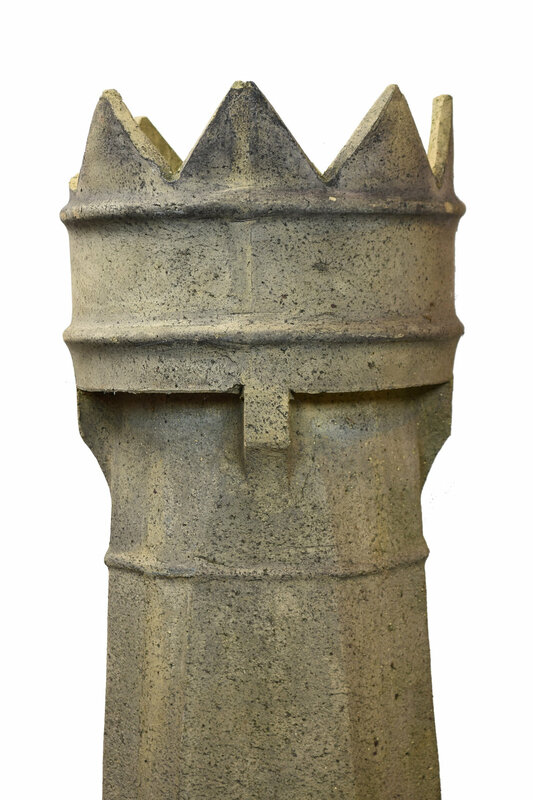 This chimney pot would look incredible used as garden decor or as a unique focal point in any room.